This is an exact copy of the original Steel Core Wires. Features correct markings and boots. Made from real Steel Core Wire. Not recommended for cars equipped with radios. 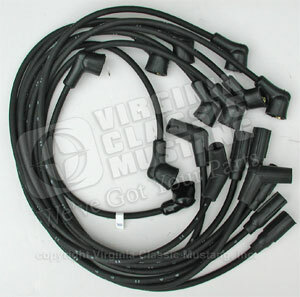 We now have EG701 Spark Plug Wire Sets made with the same markings but produced with radio resistance wire also.